It's the most wonderful time of the year once again! Sharing to you this good vibes story on the best gift ever this Christmas: A home--a space where you feel at ease and loved. ❤ Read on! Note: Story not mine, just want to share this to everyone! Other than the good vibes, I think that a lot of us might find this useful.. especially Loc&Stor Self Storage solutions that I just heard of now! Time was when the countdown to Christmas had me happily anticipating the most wonderful time of the year. The sight of malls being dressed in holiday style, bazaars sprouting all over the metro, carols constantly being played, and the prospect of family get-togethers made me giddy with excitement. But the recent years were times of change. Two of my siblings got married and settled abroad. A favorite uncle passed away. A cousin I grew up with and childhood friends from the old hometown have all found their dream jobs—in another continent. Sadly, Christmas, I thought, will never be the same again. Or so I thought until one recent evening, when I’d finally set up the family’s heirloom belen, painstakingly cleaning and polishing the tiny figures in the manger. There I stood in the living room, surveying the results of my work: the gaily trimmed Christmas tree sparkled with hundreds of silver LED lights, a beautiful wreath welcomed guests at the front door, while near it, a four-feet-tall jolly ole Santa Claus stood watch over the foyer. Touches of Christmas brightened up more nooks and spaces in the comfy home I share with my husband Robert. 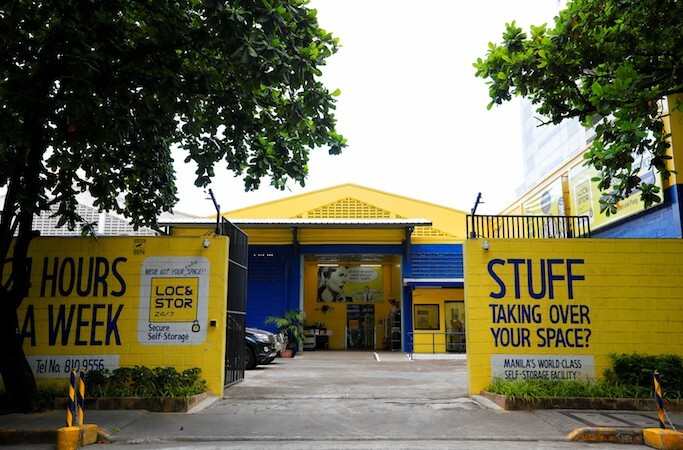 That’s when Robert and I did some research online and learned about this concept of “self-storage.” Apparently, the practice of storing one’s belongings in a safe and secured facility outside your home has been around in the US for quite some time now. And guess what, our home now looks bigger than it actually is. And this Christmas season, we are set to welcome Mikhail to a home that is full of love . . . and free of clutter.